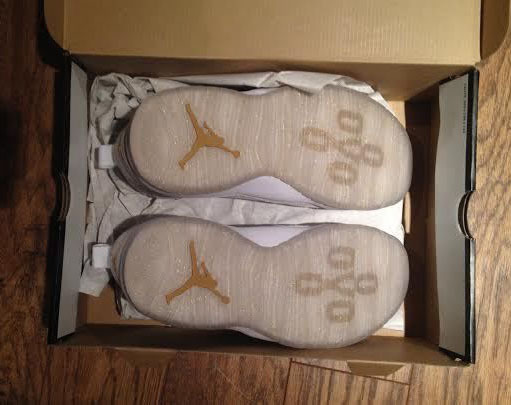 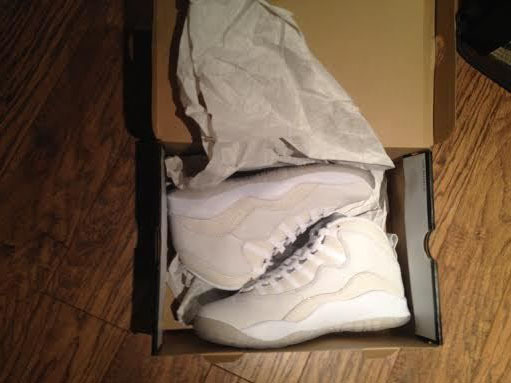 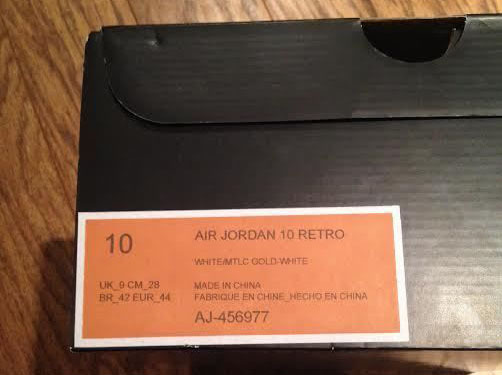 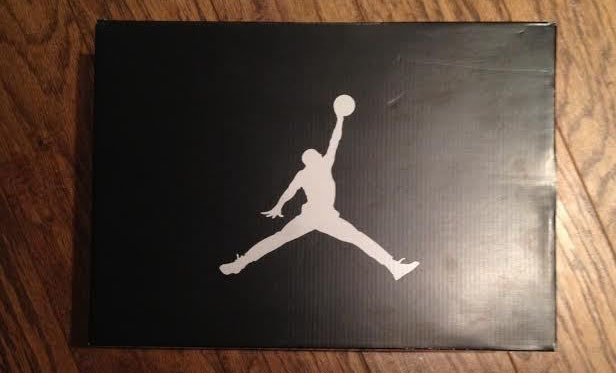 If you'd like to own the white 'OVO' Air Jordan 10, here's your shot. 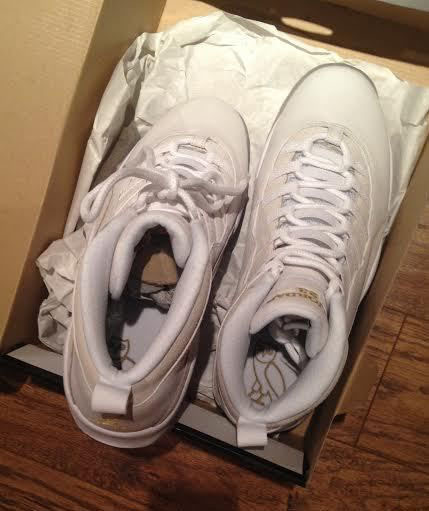 Listed on eBay today with troll bids already north of 90k, the shoes feature an all-white leather upper, complete with stingray textured paneling. 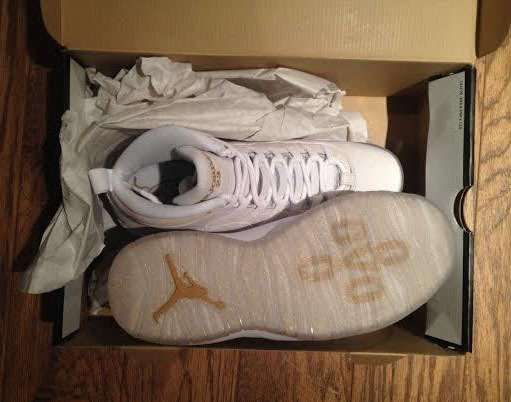 Metallic Gold works various branding hits and a graphic bearing translucent outsole wraps up the look below. 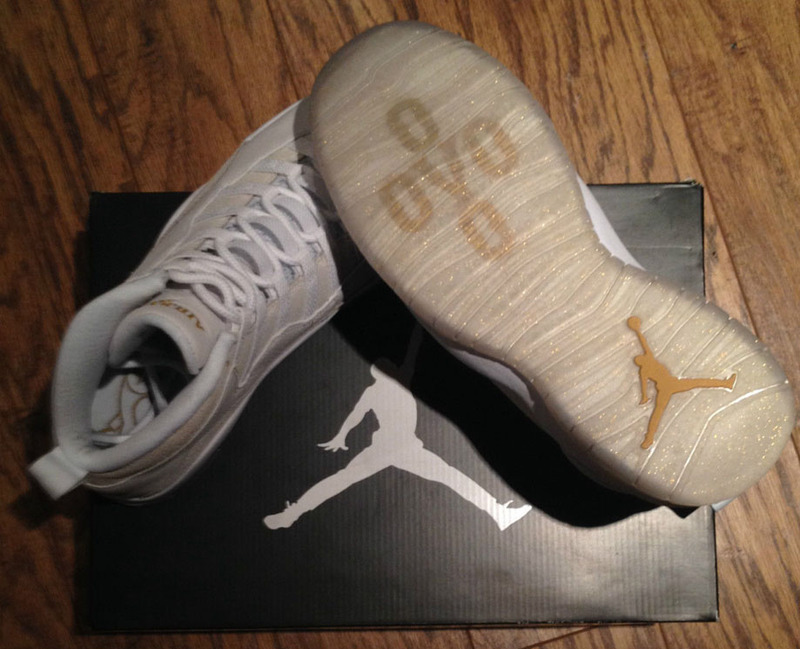 Whether these shoes actually fetch 100k or not, it looks like Drake has a winner on his hands. 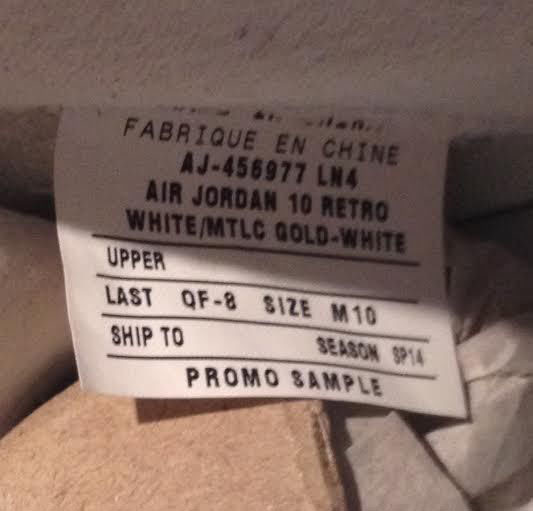 It'd be foolish for Jordan Brand to not consider a release at this point, right?